President Kennedy crossed the line of secrecy by being too honest with the American people. The Illuminati, i.e., an occult inspired group of elite families who control the world through blackmail, bribery and secrecy, could not allow Kennedy (a highly credible opinion) to expose them. The private Federal Reserve Banksters are a global mafia. Kennedy was killed BY THE BANKSTERS! The globalists murdered John F. Kennedy to stop his presidential directive 11110, which would have ended the Federal Reserve's control over America. Of course they killed him! After Kennedy's murder, the first thing that Vice President Lyndon B. Johnson did was cancel directive 11110. The message to all future U.S. presidents was clear—we can kill you in a crowded public place in broad daylight and get away with it!!! The Bible says Satan disguises himself and appears as being good and righteous (2nd Corinthians 11:13-15), thus, hiding his true nature because his deeds are evil. In sharp contrast, Jesus spoke “openly to the world” (John 18:20). The very word “occult” means kept secret or hidden. Whether Freemasonry, the Order of Death (aka, Skull and Bones), Bohemian Grove or any one of numerous Satanic organizations—they are all kept very secret from the average man for a definite reason; which is to conceal their anti-American, anti-Christian, anti-family and anti-freedom nature and workings. “The very word 'secrecy' is repugnant in a free and open society; and we are as a people inherently and historically opposed to secret societies, to secret oaths, and to secret proceedings.” —President John F. Kennedy - Address to newspaper publishers - April 27, 1961. 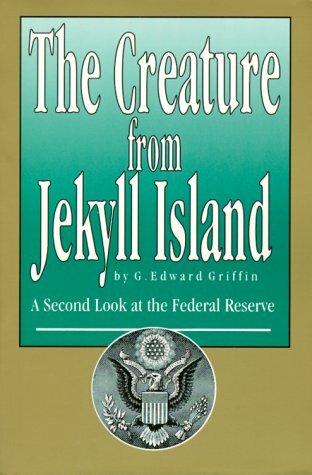 This informative book exposes the criminal Federal Reserve System and how it all began.